Castrol Magnaglide D 220 slideway oil. Specially developed for the lubrication of (linear) guides (guides guideway) of machines. Castrol Magna Glide slideway has been specially developed for the lubrication of guideways machines. It is composed on the basis of mineral oil and has additives for the improvement of adhesiveness and pressure properties. Magna Glide is a slideway and prevents stick-slip (jerky movements), problems associated with slow moving machine guides. The oil adheres well to the guides and is not pushed away. 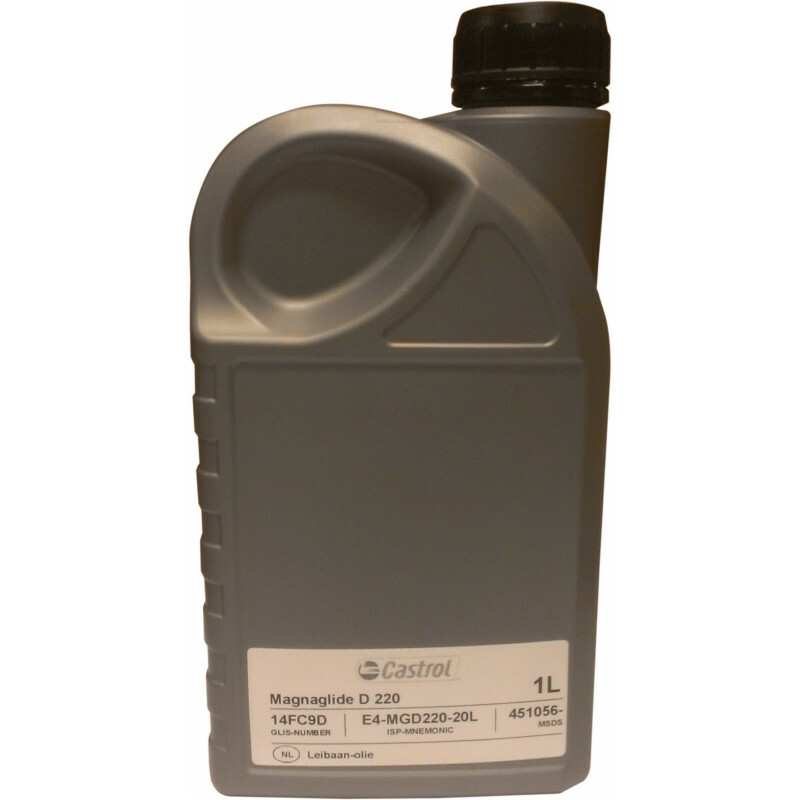 Magna Glide is specially designed for the lubrication of all the guides especially where an oil is required in order to protect the guide tracks and in order to ensure a long life. Magna Glide meets for demanding applications such as grinding machines, horizontal boring mills or CNC machining centers. • Exceptional resistance to stick-slip (jerky movements), so better workpiece. • Very good non-mixing feature prevents adding samnen (emulsion) on the plastic slides and thus avoid wear and machine downtime. • Protects metals against corrosion. • Moisture-resistant causing excessive wear occurs on the guideways.